I’m linking to Jain at Food for Thought and Mary at Home is Where the Boat is, please go and check out their book review, and if you’re interested in reading and baking this is a diverse way to create..just email these lovely ladies for the years book list to join in. 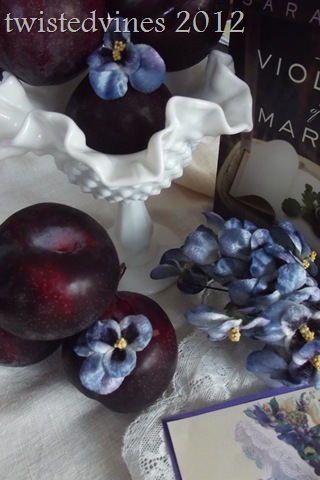 This book is a mix of romance, love, secrets and family history. A book that has you hooked from the beginning, and one that I read over a weekend. Soaking up the romance of young love, and intrigued by making my own endings, and hoping for the happy one.This book was captivating. This book is about Emily who is trying to find herself, and by visiting her great Aunt, she falls under the magical spray on Bainbridge Island, to not only find new love but solve the secret mystery within her family. 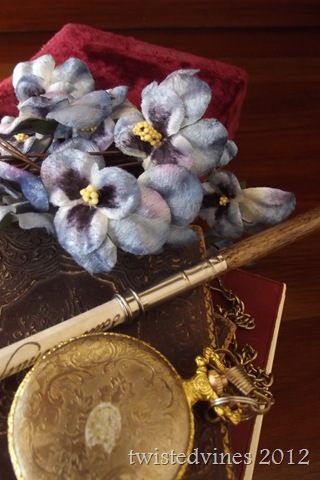 “Mix a love story, history and a mystery and what takes root? 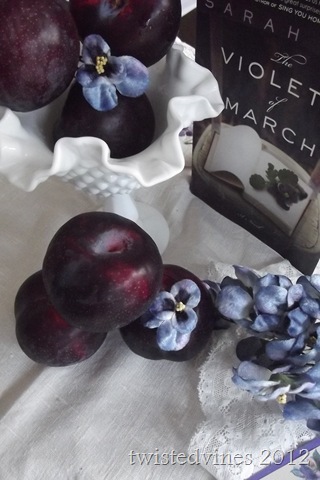 The Violets of March, a novel that reminds us how the past comes back to haunt us, and packs great surprises along the way.” Jodi Picoult, author of Sing You Home and House Rules. In her twenties, Emily Wilson was on top of the world: she had a bestselling novel, a husband plucked from the pages of GQ, and a one-way ticket to happily ever after. Nearly a decade later, the tide has turned on Emily’s good fortune. So when her great-aunt Bee invites her to spend the month of March on Bainbridge Island in Washington State. Emily accepts, longing to be healed by the sea. 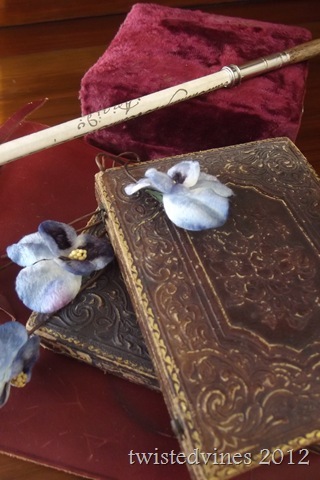 Researching her next book, Emily discovers a red velvet diary, dated 1943, whose contents reveal startling connections to her own life. The island has a way of calling one back when it’s time. Come home. I have missed you, dear. 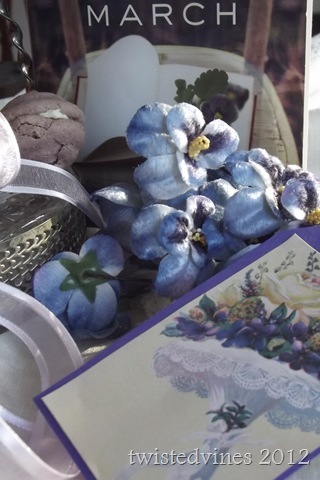 “…and opened the drawer of the bedside table…I noticed something in the shadows. Emily’s kisses…are crunchy and crispy on the outside with a soft chewy centre, joined together with strawberry jam and cream. Sweet, but subtle kisses. 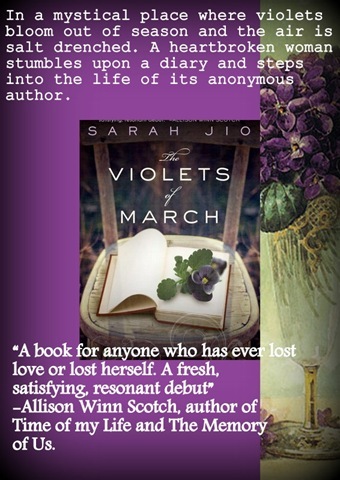 The violets of March is written by Sarah Jio, take a look at her blog and see the violets and the story that inspired her. 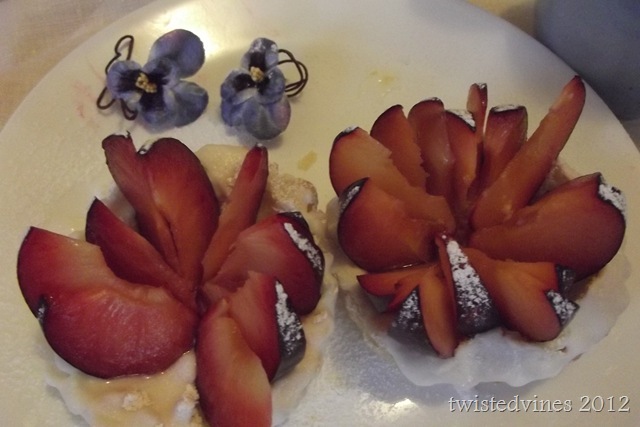 And what better way to taste the colour of violet with sweet, seasonal plums. 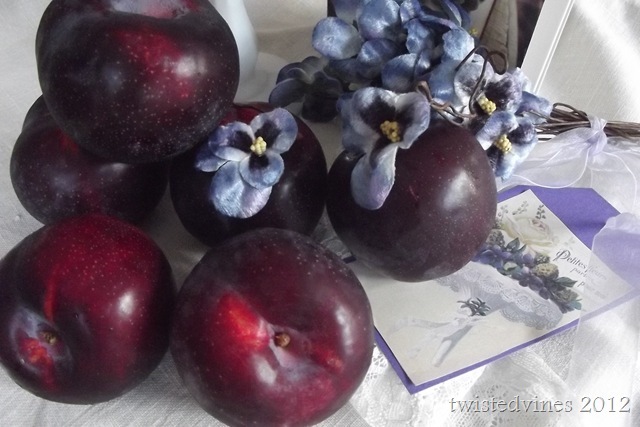 These have a rich dark purple skin and juicy taste making a beautiful pastry pie and fresh fruit flan. 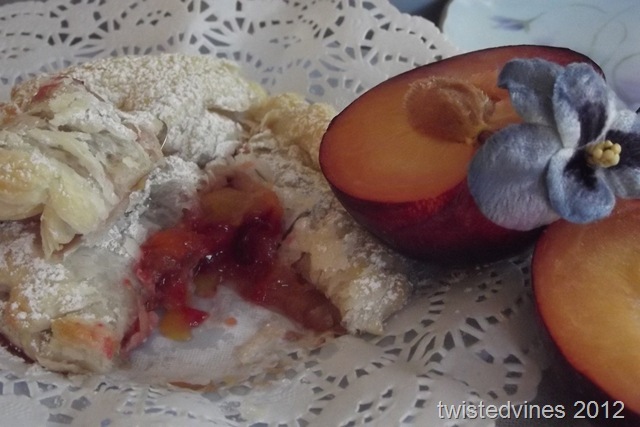 Beautiful puff pastry filled with fresh plums and brown sugar combining to make luscious caramel centers and flaky pastry sprinkled with icing sugar. 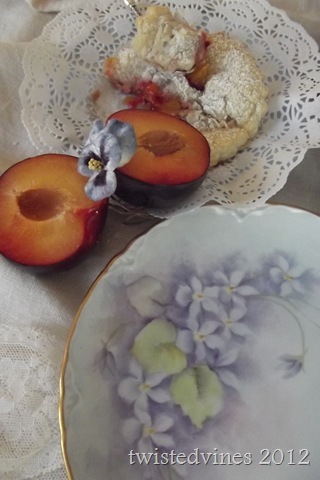 My Nanna hand painted this plate, and also embroidered the violet tablecloth both given to my sister some years ago. I highly recommend this for a relaxing weekend curled up and escaping into the romance, swept away to the island and into the mystical life of Emily and the secrets that unfold. 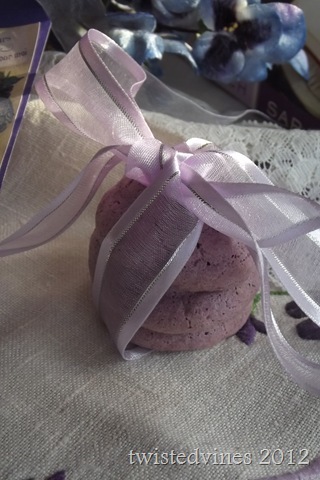 What a lovely post! So glad I saw Sarah Jio’s tweet with the link. 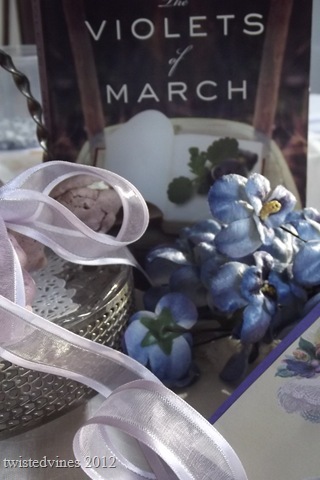 I really enjoyed The Violets of March. Sarah Jio’s writing really captured me, and it was easy reading for a weekend ‘stop’, just me, the book and a visit to Bainbridge Island. 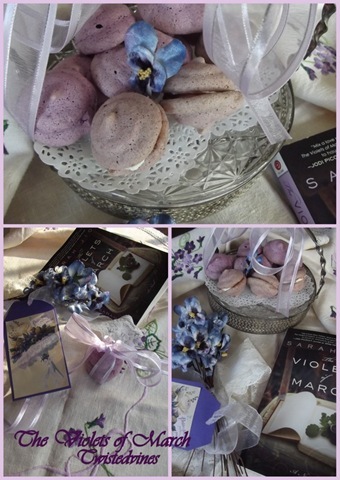 From Sarah’s blog she gives so many insights to not only The Violets of March, but all her books…a very talented lady.! 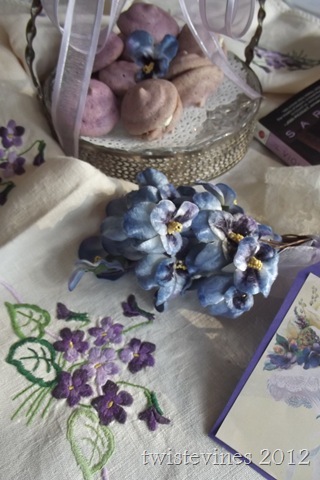 Hi Yvette~ I LOVE your Nanna’s delicate handpainted violet plate and embroidered tablecloth! 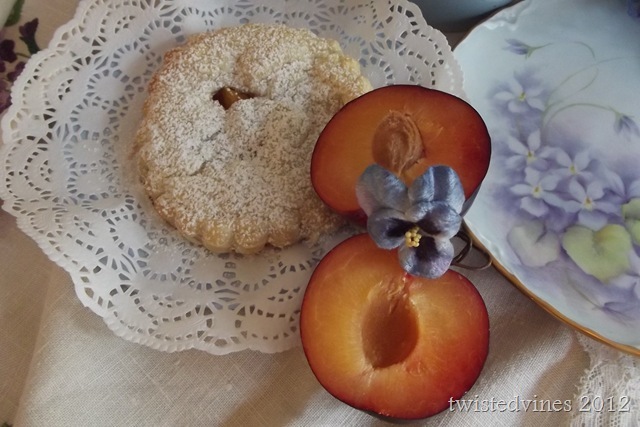 Your vintage album/diaries and such a fun touch 🙂 Your mosaics are beautiful and plum in puff pastry looks delicious! Your seasons are opposite of ours so I have to wait until summer/fall to enjoy. What a good book & fun to play with for FFT! 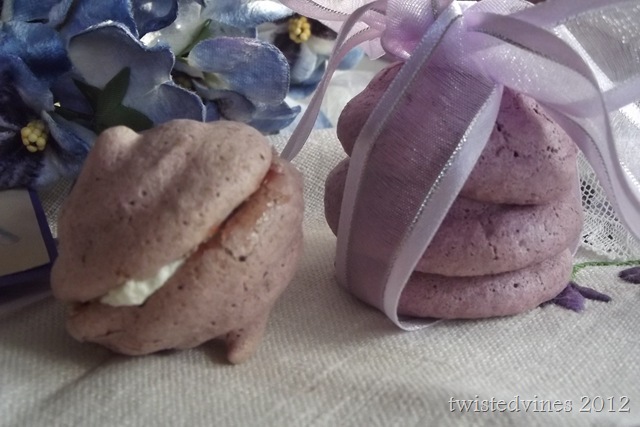 Thanks for sharing your review and joining in the fun~ I’ll add a link back to my post. Enjoy your weekend! This is beautiful, Yvette. 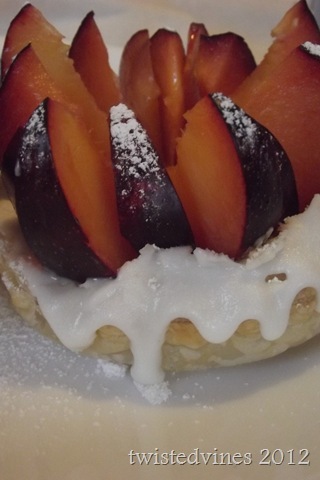 Your enjoyment and love for the book shine in all of your creations, from the photos throughout the diary to the delicious pastries. 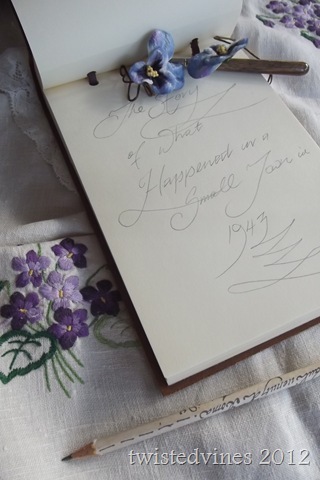 Your Nanna’s wonderful hand painted violet plate and embroidered tablecloth is such a tender touch to your review which I find goes perfectly with a story about family, love and past. Wonderful photos. Awesome post. Sounds like a great book. I lived on Whidbey Island years ago and loved that area. One of my favorite books as a kid involved a red velvet room. . . so some of the flavor draws me in already. Hm. Maybe I’ll have to check into it. Enjoyed this visit too. 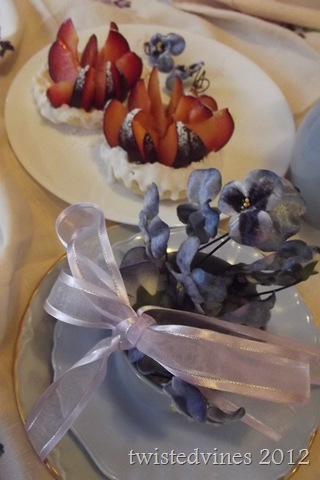 PS -beautiful plate – can’t believe you have such a wonderful plate and lace tablecloth – hand done by your Nana. What a blessing. This sounds like a wonderful book to escape into for awhile.. I am enjoying reading the reviews by different bloggers and seeing how everyone displayed the theme. You did a fabulous job! 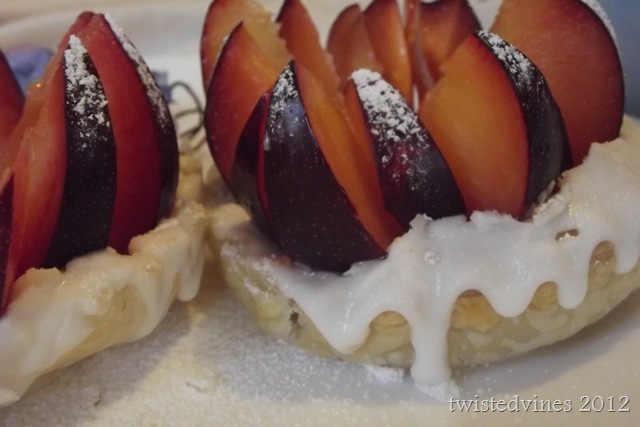 Thanks Pat, a pleasure have you call by Twistedvines and leave a comment. 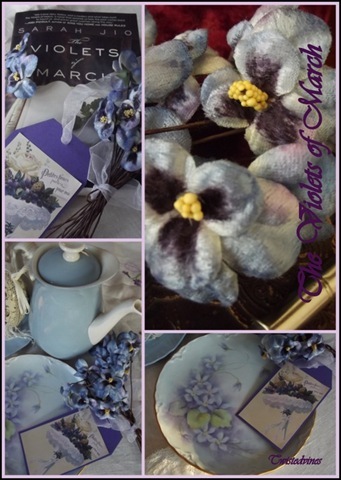 There certainly have been diverse reviews, but all giving this book ‘The Violets of March’ a great review of just how colourful it is. 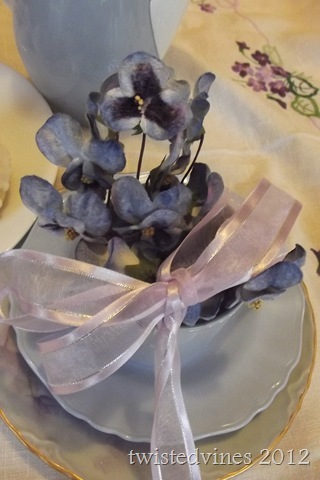 As always, really beautiful shots of beautiful things…and violets are one of my favorite flowers, they are so sweet. 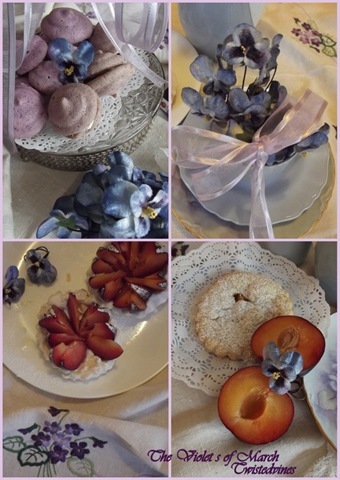 Sherry, Thankyou for hosting, such wonderful visits into everyones homes, sharing all the lovlies! you are beyond talented, fabulous food, fantastic pics, i hope you play every single book, you are just too good to miss! thank you so much for joining in fft! Sorry I’m just now seeing this post. So glad I didn’t miss this. What a special post you’ve created. 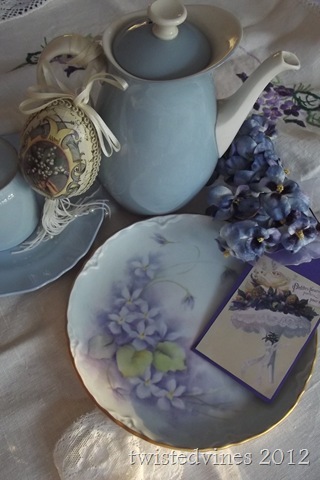 Your Nanna’s handpainted plate is lovely. Thanks for sharing this with FFT. It’s such a fun way to enjoy a book.